The Nuclear Summit in Washington has ended with pledges to secure vulnerable nuclear facilities to prevent groups like ISIL from acquiring an atomic weapon or material to create a dirty bomb. 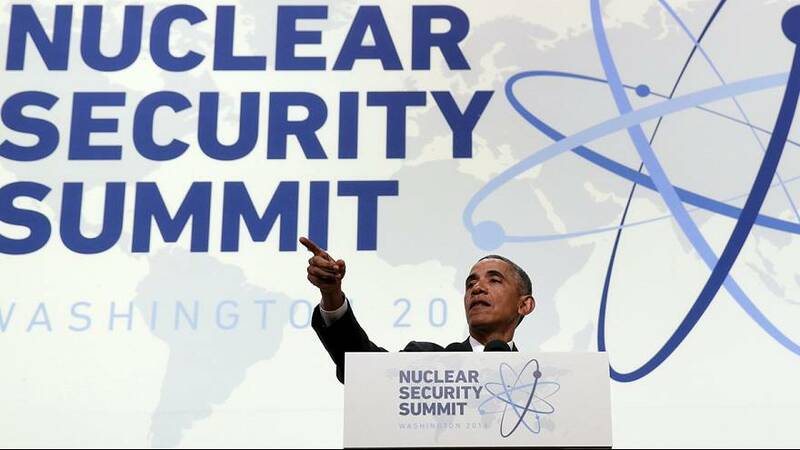 US President Barack Obama said the world faced a persistent and evolving threat of nuclear terrorism. “There’s still a great deal of nuclear and radioactive material around the world that needs to be secured. “Global stocks of plutonium are growing, nuclear arsenals are expanding in some countries, with more small tactical nuclear weapons which could be at greater risk of theft”. Obama also called for further cooperation between the countries represented. “Today, I invited all the nations represented at this summit to join a broader discussion among our intelligence and security services on how we can improve information sharing within and among our nations to prevent all manner of terrorist attacks, especially those that might involve weapons of mass destruction”. The EU released a joint communique saying that nuclear security remained ‘an enduring priority’. Demonstrators outside the summit called for a nuclear-free future. Ridding the world of the nuclear menace has been a signature foreign policy of the Obama administration. With ten months left in office, the Iran deal is a debatable success, while the threat posed by North Korea continues to simmer. There is also little guarantee that the next president of the United States will lay so much emphasis on nuclear security.